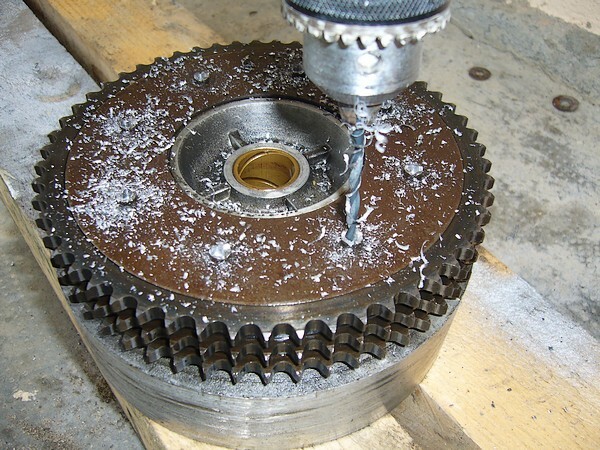 by eight 6mm screws (hexagonal heads). 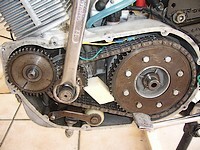 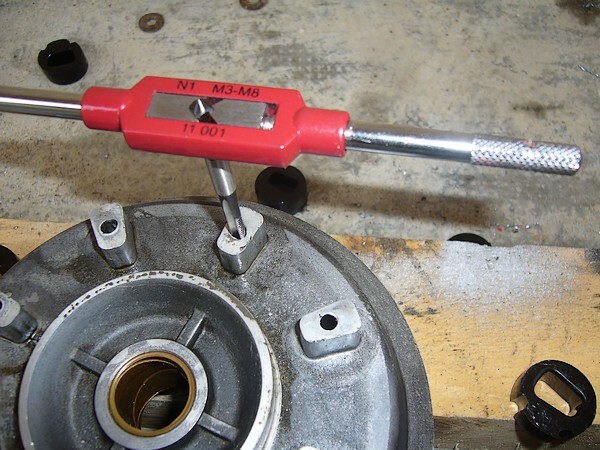 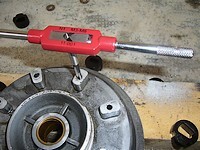 the chain for instance) without removing the crankshaft end nut. These silentblocks are 40 years old! 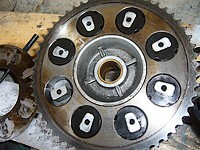 They are hardened, out of shape, they make the transmission very harsh and noisy. The goal is to replace the rivets by eight 6mm (6 X 100) screws. 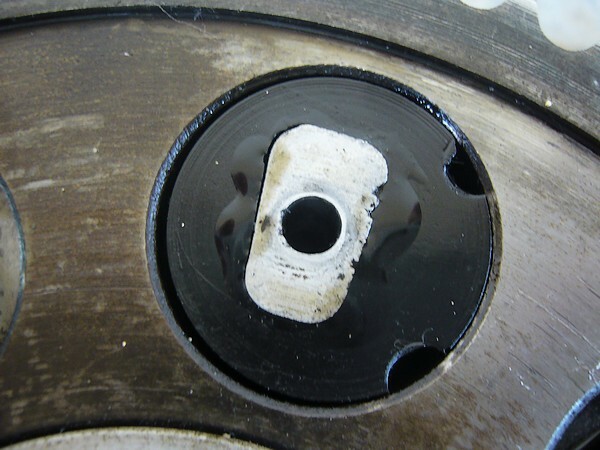 You have to thread the holes carefully. The threads once finished. 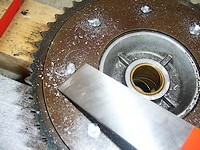 Carefully clean the clutch drum from any metal particle. 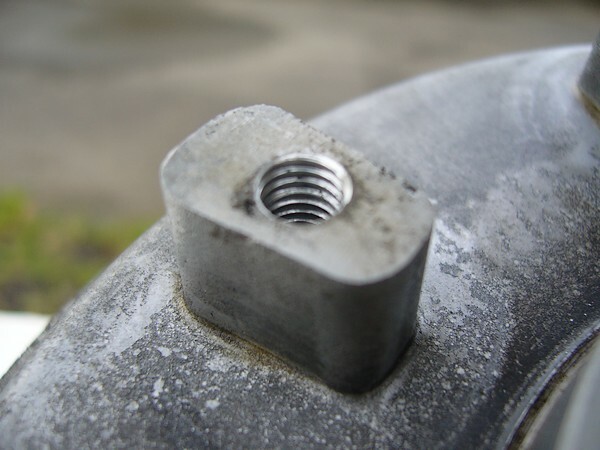 Fit the new silentblocks, the plate then the screws, without any washer. 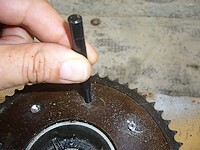 Use a drop of Loctite (medium grade). A picture of the finished drum with the 8 screws. The soft wood block is a method to block the transmission while tightening the cranshaft end nut.